Can the Region Sustain Its Promising Anti-Corruption Efforts? Ahmed Hamza (B. Gen), new director general of MetEC. Prime Minister Abiy Ahmed (PhD) appointed Ahmed Hamza (Brig. Gen) as a new director general of the state-owned military-industrial conglomerate, Metals & Engineering Corporation (MetEC), replacing Bekele Bulado (PhD). Ahmed, who has been deputy director of the Corporation for the past seven months, was assigned to the post on November 13, 2018, but took over as head of the Corporation last week. MetEC has been in upheaval recently. In the past few months, it has been terminated from almost all the mega projects it was involved in, and close to three dozen of its administrators and employees have been arrested under allegations of crimes of grand corruption. Prior to his appointment, Ahmed was deputy director of MetEC in charge of finance and investment. He was one of six deputy directors of the Corporation with responsibilities for project management, logistics, operations and business development. Before moving to MetEC, Ahmed was the head of the supply management sector at the Information Network Security Agency (INSA). He has also served as a member of the board of directors for the Development Bank of Ethiopia. Ahmed was one of the colonels promoted to Brigadier General by former President Mulatu Teshome (PhD) in 2013. As the third head of MetEC, Ahmed replaced Bekele who came to office seven months ago following the resignation of Kinfe Dagnew (Maj. Gen) in April. Bekele took over from Kinfe by moving from his post as Minister of Trade, where he worked for two years. Bekele was a vice president for administration and business development and an instructor with the academic rank of Assistant Professor of Strategic Management at Hawassa Universty. The founding CEO, Kinfe, was head of the Corporation since 2008 when MetEC was first implemented under the direction of the late Prime Minister, Meles Zenawi. The corporation was put forward as one of the major tools for industrialisation in transforming Ethiopia into a middle-income country. Kinfe was recently arrested by Federal Police over allegations of grand corruption and abuse of power. Police suspected Kinfe for allegedly causing the delay of the Great Ethiopian Renaissance Dam, Yayu Fertiliser and other sugar factories. He is also suspected of being involved in corruption by allegedly engaging in illegal local and international procurements against the laws of the nation. The issue of two shipping vessels, the procurement of six aircraft, a project involving the establishment of a petroleum refinery and construction of several sugar factories are the areas currently being probed by investigators, according to Police. A couple of days before Kinfe's arrest, close to three dozen officials and employees of MetEC were arrested by police, suspected of similar crimes as Kinfe. 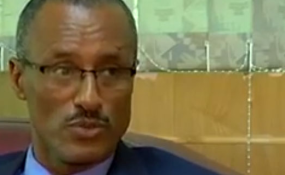 Hours before MetEC officials first appeared in court, Federal Attorney General Berhanu Tsegaye announced that his office has been conducting a five-month-long investigation into the procurement practices of MetEC and has gathered evidence of alleged crimes. "For six years the Corporation made international procurements - totalling two billion dollars- without any bidding processes," Berhanu said. "Local procurements worth 204 billion Br were also made without a proper procurement procedures." All of the suspects have appeared before different sessions of the 10th Criminal Bench of the Federal High Court of Lideta. The Court denied bail requests for all the suspects and granted police a 14-day custody right for investigation. At the end of August, Prime Minister Abiy signaled that his administration had launched an investigation into MetEC. Subsequently, the he ordered the cancellation of contracts of mega projects that were under the purview of the Corporation. The Primer has also decided to split MetEC into two entities by separating its commercial and military activities. With this new reform, four industries out of 15 that operated under the Corporation were transferred to the Ministry of Defence, while the rest were kept under the Corporation. To finalise the split, the Corporation drafted a regulation that will change its name to the National Industrial Engineering Corporation, restricting its mandates to manufacturing commercial products. The regulation, which is still pending at the Council of Ministers, also switches its accountability to the newly formed Public Enterprises Holding & Administration Agency the Office of the Prime Minister. "My major focus area will be to bring the Corporation back on the right track," Ahmed told Fortune. "Having all the resources, the Corporation failed by being mismanaged." In the last few months, MetEC laid off close to one-fourth of its workforce, which once numbered 19,500. This includes both members of the military and civilians working at its 98 subsidiary companies. An expert shared Ahmed's view of mismanagement at the Corporation. "MetEC didn't have proper financial management, a marketing strategy or an internal audit," the expert told Fortunefive weeks ago, attributing these irregularities as a source of its failure.